Paramount Pictures has released a new red-band trailer for What Men Want. This gender-swapped remake of the 2000 romcom classic starring Mel Gibson and Helen Hunt, What Women Want, will arrive in theaters nearly 20 years after the original in an era that is very obsessed with, not just remakes and reboots of every sort, but taking original concepts and turning them on their head. Such is the case with What Men Want, which sees Taraji P. Henson reading men's thoughts. The studio previously revealed a teaser trailer for the remake in August, but this red-band trailer gives a much more thorough, NSFW look at what's coming our way next year. "Listen up a**holes," Taraji P. Henson shouts at the very beginning of the new trailer. SNL cast member Pete Davidson chimes in soon thereafter with his own curse-filled tirade before we get into the meat of the matter, when Henson gains the ability to know what men are thinking after an encounter with a psychic. It then turns into a series of bits involving her using this newfound power for dating and even poker. The whole thing is punctuated with one of the most cringey Black Panther jokes you're likely to ever see. 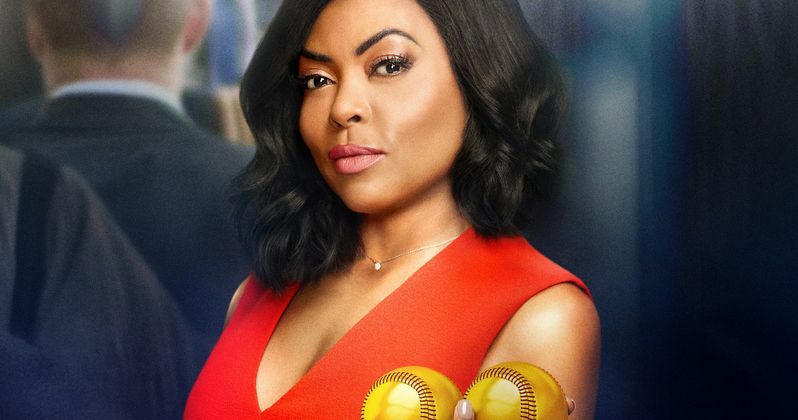 What Men Want centers on Ali Davis, a successful sports agent, sort of like a female Jerry Maguire, who is tired of being looked over in the man-filled world she lives and works in. When Ali is passed up for a well-deserved promotion, it leads her on a quest to figure out what it takes to get ahead in a man's world. Her world is turned upside down when she gains the ability to hear men's thoughts and with her new power, Ali looks to best her coworkers. But the road her new power takes her down will test her relationships with her friends and her new potential love interest. In recent years, studios have tried to cash in on similar gender-swapped remakes, such as Ghostbusters and Ocean's 8, with varying degrees of success. 2000's What Women Want, directed by Nancy Myers, was a massive hit, bringing in $374 million at the global box office at a time before Mel Gibson was ostracized from mainstream Hollywood. The idea of remaking this as a starring vehicle for Taraji P. Henson, a bankable and lovable star of movies like Hidden Figures, Hustle and Flow and the hit series Empire, makes quite a bit of sense on paper. The cast also includes Aldis Hodge, Richard Roundtree, Wendi McLendon-Covey and Tracy Morgan. Adam Shankman (Rock of Ages) directs from a script by Tina Gordon, Peter Huyck and Alex Gregory. Will this wind up being a big hit like Ocean's 8? Or a critical and commercial disaster like Paul Feig's Ghostbusters? Time will tell. What Men Want is set to arrive in theaters on February 8, 2019. Be sure to check out the new red-band trailer from the Paramount Pictures YouTube channel below.